Happy Sunday everybody! Tonight it gives me a pleasure to introduce you to Abrille. 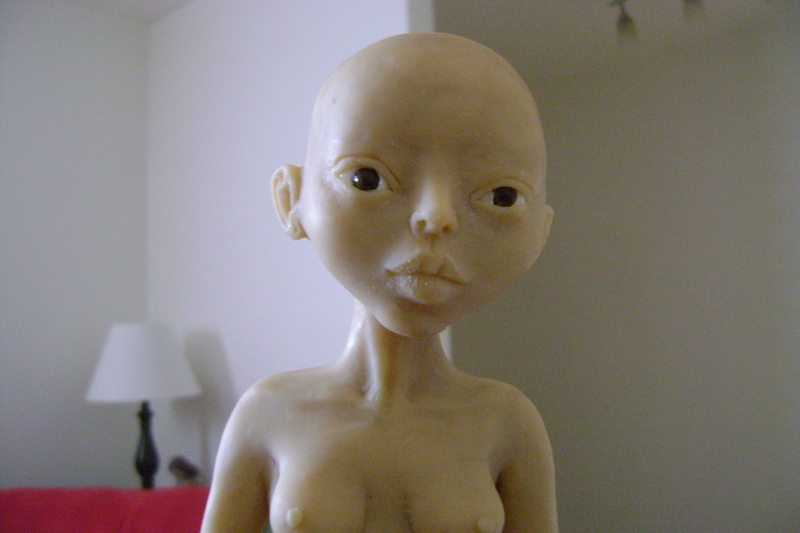 She’s completely made from Cernit polymer clay (Almond). 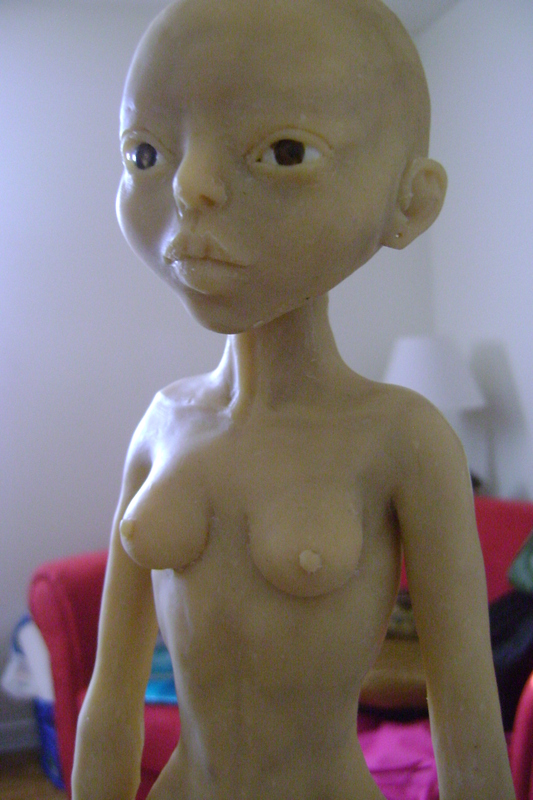 Before her, I had never used or tried this clay, it was only when I discover a great article on american doll artist Jamie Williamson, where you could see her gorgeous beauties made out of this clay. 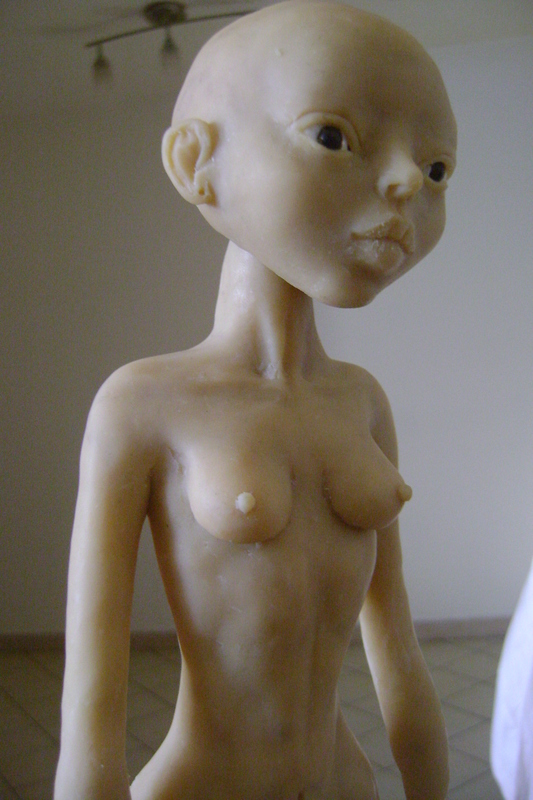 With more information on this clay, I learned that many internationally well know doll artists use this clay, like German artist, Rotraut Schrott. 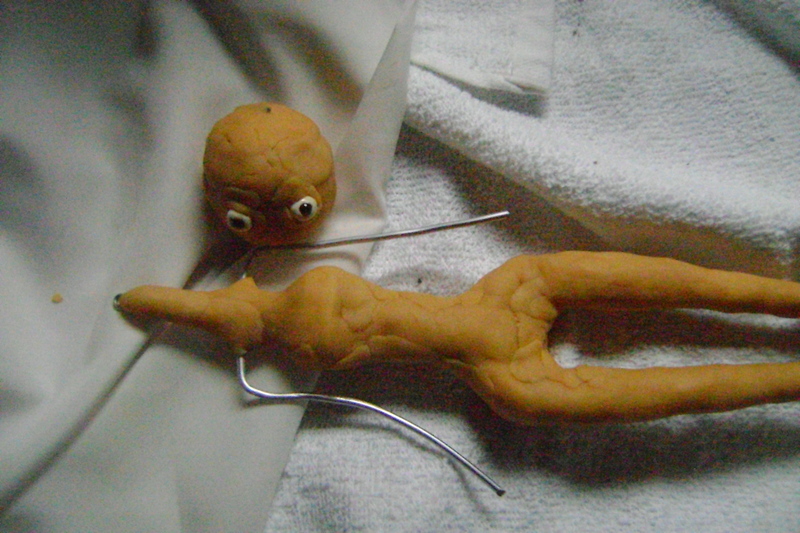 When it is unbaked, I founded this clay very hard, crumbly and inflexible and yes, for one moment I was a little worried. I asked myself several questions: How can I condition this clay? Do I have to do it with the heat of my hands by making small balls? Do I use a ceramic roll to do the work and than finish it all with the pasta machine by making small pancakes? 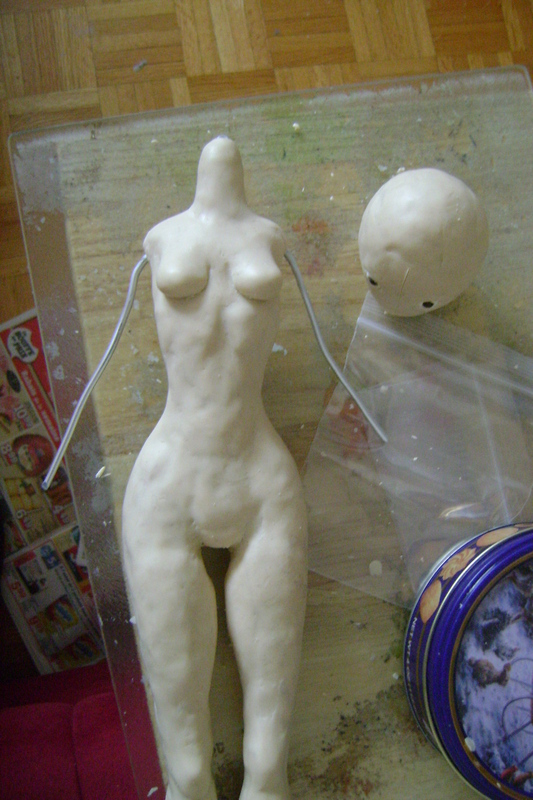 But this clay was still crumbling through my fingers while working with it! I didn’t want to panic and it was not necessary, so the best thing for me to do was to inform myself and the end, I discovered that many people were using food processors. They work well because they warm the clay with friction as well as chop and mix it. It took me two days to condition it! 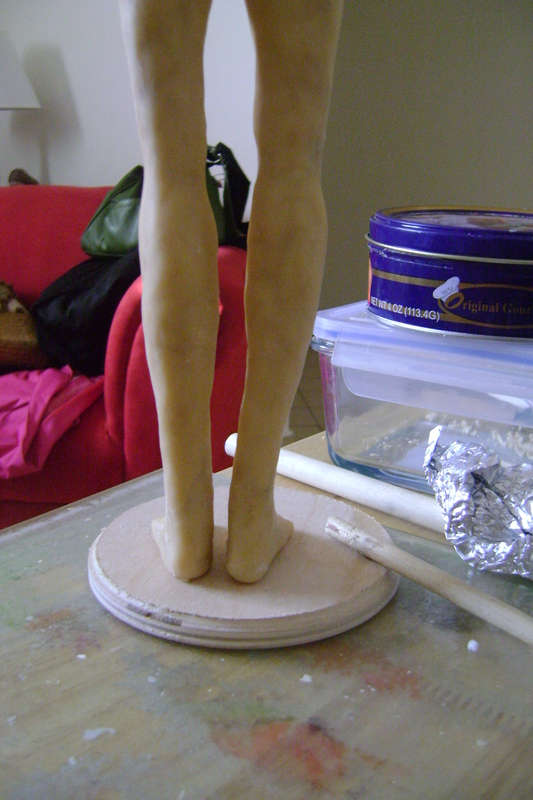 The other downside of this clay, is it’s color darkens a lot on baking which shocked me for few minutes. However, in my own opinion, once it cooled down, Cernit clay gives a translucence finish effect that no other clay can achieve.The realistic finish effect is unbeatable! My Abrille skin tone finish look so alive! 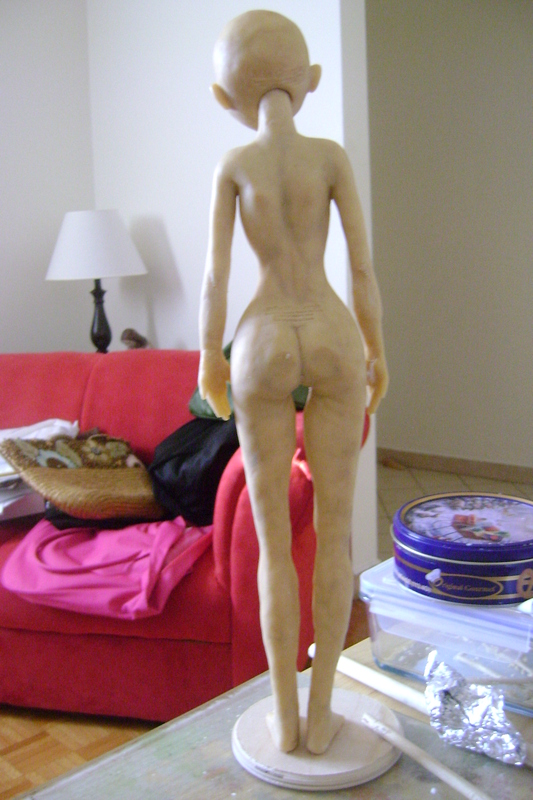 I couldn’t wait to sand and paint her and yes, despite the hardness of the clay, I was over the moon with the final result! As you can see this what Cernit Almond looks like after bake in the oven for 25 minutes! 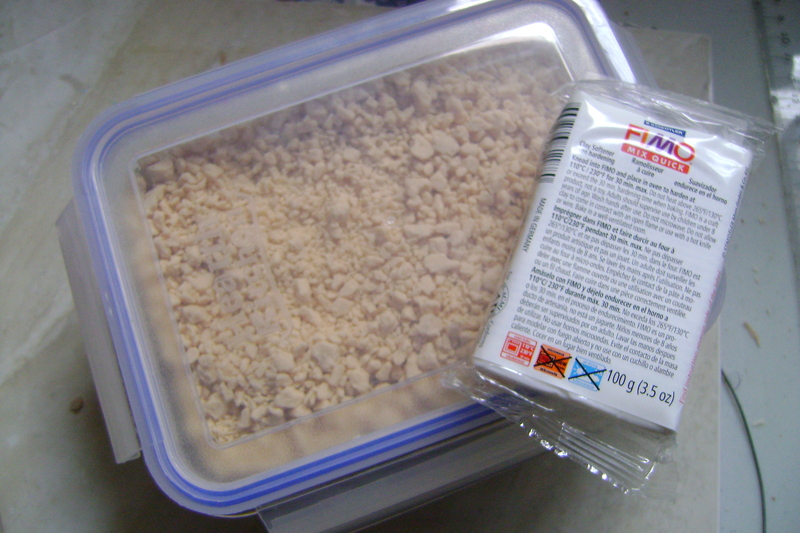 I also mixed a little of Fimo Quick Mix, just like I did before with Fimo Puppen. This is what Cernit clay look like after passing into a food processor.